Linwave Technology have utilised their experience of manufacturing and packaging gunn diode devices over a number of years to develop a broad-band oscillator array module. 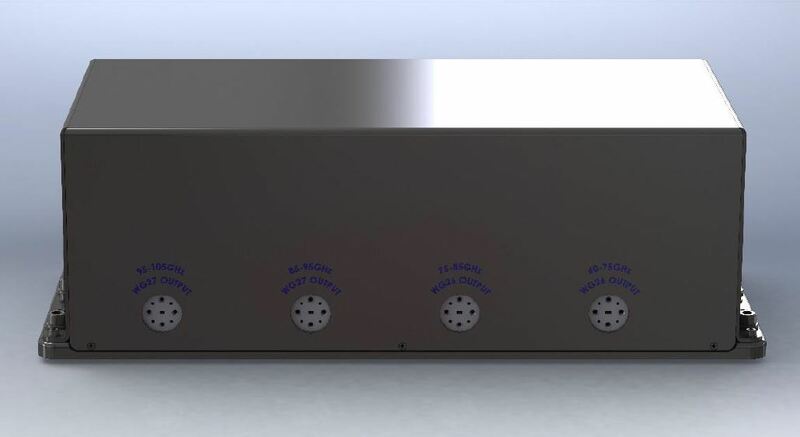 The module consists of 4 tuned Gunn Oscillators covering a max freq band of 60GHz to 105GHz. Ian Duke – Managing Director commented “The module is a great example of our ability to vertically integrate from die level. We have a cutting edge product with applications in Propagation Testing, Imaging, Sensing and systems test”.